Leading Manufacturer of matrix epabx system from Ahmedabad. Matrix serves diverse customer needs with its comprehensive range of Gateways, Business Communication Systems, and Security Products. 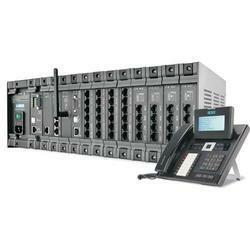 Matrix is a leading manufacturer of telecom equipment for the customer premises (CPE). The communication solutions include - Voice Switching, Voice Messaging, Hospitality PBXs, PLCC Express Switches, Building Intercom-Security PBXs and User Terminals. A comprehensive range of IP Telephony devices, GSM Products and a wide range of Gateways make Matrix a single-stop for all communication needs. Matrix switching products include IP-PBX for SOHO, SMB, SME and Large Enterprises. Matrix also offers Digital PBX, ISDN PBX, and Key Phone Systems. Voice messaging product includes Music-On-Hold. Matrix Hospitality PBXs serve the specific requirements of Hotels, where better hospitality is the key to better service. Matrix Hotel PBX portfolio includes PBX for small hotel and motel, medium hotels and large hotels that can be installed at retail chains, hospitals and also at corporate requiring efficient front desk management. The PLCC Express switches are designed for live-wire communication between terminal points of electricity generation, transmission, and distribution. Matrix ETERNITY provides an absolute intercom solution. Building intercom system is secure, scalable, reliable, and flexible which helps builders to add value to their properties by providing free inter calling within their township. Further communication and Security is interlinked. With the availability of panic switches, door phones, and central ringer our system makes you secure and safe. The range of Analog Phones, Digital Key Phones, and IP Phones are offered in Entry-Level and Executive models. IP-PBX for the organization of all sizes, VoIP Gateways, VoIP Adaptors and IP Telephones comprise the Matrix IP Telephony Solution Portfolio. GSM products include GSM FCTs, GSM Routers, GSM/3G Gateways and GSM/3G Channel Banks. Matrix gateways seamlessly integrate traditional telephony interfaces into the varied networks and help to lower day-to-day communication cost. The gateways are ideal for corporate offices, factories, sales organizations, call centers, branch offices, public call offices, remote project sites, and residences. The Universal Gateways offer connectivity to all-POTS, GSM/3G, ISDN BRI, T1/E1 PRI and IP network. Integrated gateways include VoIP-GSM/3G, VoIP-T1/E1 PRI, T1/E1/PRI-GSM/3G, VoIP-GSM-FXO-FXS, VoIP-FXO-FXS, VoIP-GSM/3G-ISDN BRI, VoIP-ISDN BRI, GSM/3G-ISDN BRI and GSM/3G-FXS gateways.